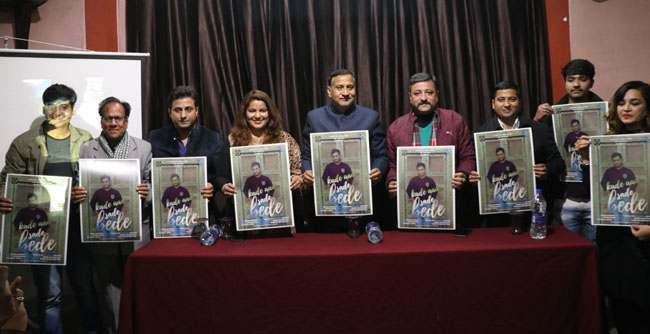 On the eve of lohri and Makarskranti “Khand mithe log dogre” in collaboration with Trinetra Production and SW records released a dogri song “KADEN AAO SADE BEDE” at press club. A large number of audience was present there to witness the screening of song. On the ocassion eminent leader Former Cabinet minister (Sh. 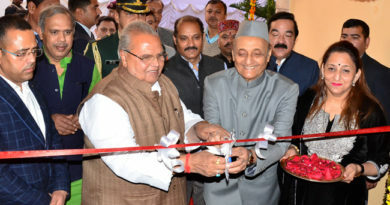 Sham lal sharma ji) was the chief guest and (Sh. Zorawar Singh Jamwal ji) was the Guest of honour. Sect. Chamber of commerce (Sh. Gaurav gupta ji) and RJ radio Mirchi 98.3 (shwetima Jamwal) were the special Guest of ocaasion. Event started with the welcome adress by Himanshu Jai Hind (chairman KMLD) and Arun slan (President KMLD) and a brief introduction of the song. Song “KADEN AAO SADE BEDE” was highly appreciated by the worthy guests. Cinematography and Post Production of the song has done by Vikran Mehta owner of Trinetra Production satish Sharma & Dhananjay). Music done by SW records(Anshul. Mahajan). 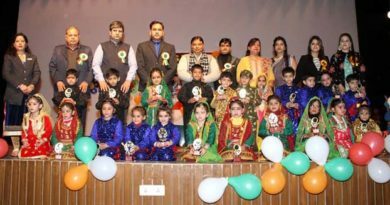 Singer of the song and President KMLD (Arun Slan) said that, this is our hard work of our whole team and we are always looking for best efforts to promote dogri through various aspects and interest of the youth to get indulge in dogri to preserve the culture at its best felt proud to be duggar. Chief guest Sh. Sham lal Sharma ji, Sh. Zorawar Singh Jamwal ji, Sh. Gaurav gupta ji and miss shwetima Jamwal presented trophies to all the production members and music director. The whole evnt was hosted in dogri language by SAPNA SONI a renowned actress. Vote of thanx was given by Mr. Atul Sudan with his statement that every person who can afford he or she should help such promotions to strong the pillars of culture as much as they can wheather its financialy, morally or emotionally. As its has become the need of the hour for dogras to save and preserve the duggar culture. Event was supported By BABA PURAN TRADERS (Mr.Vishal Sharma).